To buy a home means that you’re ready for the challenges of living on your own without parental influences. Yet the cost of the home might be too great for you to take on alone. How then can you manage your money while searching for the perfect house to call home? 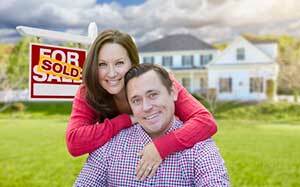 Fairfax Mortgage Investments is able to help you with that and the entire home buying process. We help you pick and choose the right loan to take in order to buy your house. Founded in 1990, we have a lot of experience with loans and helping Stafford, VA first time home buyers like you finding that perfect loan package. Get in touch with us today! Contacting us is the best way to make sure that you’ll be able to find the right loan without the hassle. FHA loans have been helping Stafford, VA first time home buyers since they were created. They have low interest rates, down payments, and closing costs that are less than regular loans. These loans are insured by the Federal Housing Administration and allow lenders to not lose money on a deal. USDA loans are part of a federal program created by the US Department of Agriculture. They offer no down payment and low, fixed-rate interest to people. These loans are mainly for buying a house in the countryside. VA home loans can give Stafford, VA first time home buyers within the military the home they want. They give lower interest rates and no down payment to those that qualify. These loans are part of a federal program made by the US Department of Veterans Affairs. People do not usually buy a house in need of repairs, but a certain clause in FHA has a way around that problem. FHA Section 203(k) allows homes to be repaired with a single mortgage if $5,000 or above. This goes with any FHA loan you might take out. Loans come in different varieties, from FHA loans to down payment assistance loans in Stafford, VA. With so many loans to choose from, which do you go to? 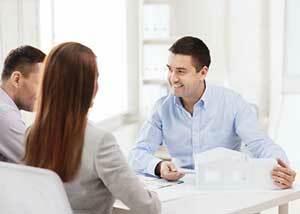 Fairfax Mortgage Investments will guide you to the right loan for you, allowing you to get the best deal possible. We’ll be with you every step of the way as you search for that one perfect loan, even going so far as to doing the paperwork for you! Create a budget based on housing costs, closing costs, and the cost of your new home, then find a realtor in the area you are looking at. Make sure to bring in the proper documentation, such as pay stubs, bank accounts statements, W-2s, tax returns, statements from current loans and credit lines, and the names and addresses of previous landlords. We then can guide you through the rest.